Yom Ha’atzmaut (Israel Independence Day) is the national day of Israel celebrated on the 5th day of the Hebrew month of Iyar. This holiday commemorates the Israeli Declaration of Independence proclaimed by David Ben-Gurion in 1948. Jews haven’t had a homeland for many centuries since the destruction of the Second Temple. Since the existence of the earliest Jewish diaspora, many Jews have aspired to return to the “Land of Israel”, but the first wave of modern Jewish migration to Palestine happened in the 1880s, caused by pogroms in Eastern Europe. After the Second World War, Britain, which ruled Palestine under the terms of a League of Nations mandate, found itself in conflict with both Jewish and Arab population, and finally announced its withdrawal from Palestine. The United Nations General Assembly announced that the British Mandate would be replaced by an independent Jewish state and an independent Arab state. The Jews accepted the plan, while the Arab community rejected it. On May 14, 1948 (5th of Iyar, 5708), eight hours before the expiration of the British Mandate of Palestine, future Prime Minister David Ben-Gurion declared the establishment of the State of Israel. The new state was promptly recognized by many other countries, including the United States and the Soviet Union. However, the surrounding Arab states did not recognize it and attacked the newly formed Jewish state, initiating the First Arab-Israeli War, which is known in Israel as the War of Independence. Since most holidays in Israel are celebrated by the lunisolar Hebrew calendar, Israel Independence Day is celebrated on the 5th of Iyar, which doesn’t always coincide with May 14 in the Gregorian calendar. When Yom Ha’atzmaut falls too close to Shabbat, it may be commemorated one or two days earlier. The celebration is always preceded by Yom Hazikaron, a solemn remembrance day honoring fallen soldiers and civilian victims of terrorism. 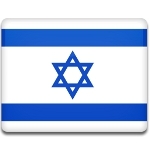 As days in the Hebrew calendar begin and end at sunset, the observance of Israel Independence Day begins on what is Independence Day eve in the civil calendar. An official ceremony takes place on Mount Herzl in Jerusalem and is broadcast live on TV. It includes a speech by the speaker of the Israeli Parliament (Knesset), the ceremonial lightning of twelve torches, one for each of the Tribes Tribes of Israel, and artistic performances. Public commemoration of the holiday includes an official reception in the President’s residence honoring 120 IDF soldiers, the Israel Price ceremony, and the International Bible Contest. The Israel Defense Forces parade used to take place on this day, but it was canceled due to financial concerns in 1973. Instead, some IDF bases are open to the public on the occasion. Israeli families celebrate Yom Ha’atzmaut with barbecues and picnics. People decorate their balconies with Israeli flags and attach small flags to car windows. Some flags are left hoisted until Jerusalem Day celebrated on the 28th of Iyar. Many cities hold outdoor performances dedicated to Independence Day. Though this is a secular holiday, some (but not all) religious communities have changed the liturgy in its honor.